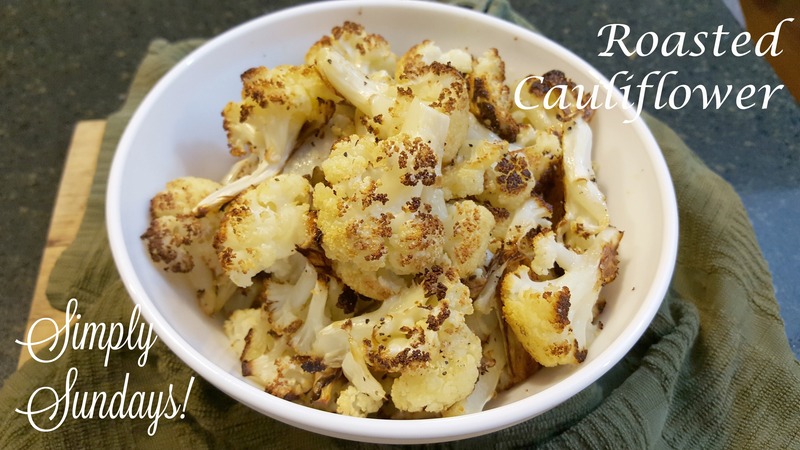 Roasted Cauliflower – Simply Sundays! It’s also one of our favorite ways to eat veggies! This can be done in only a few simple steps with only a few simple ingredients! Spread out onto a sheet pan & drizzle with enough olive oil to coat each floret, but not to over saturate We still like our veggies to be healthy! Spread out onto a sheet pan & drizzle with enough olive oil to coat each floret, but not to over saturate. Simply Living Premium Extra large Bamboo Cutting board, 18″ x 12″. Thank you for posting this! I can’t wait to try…Would this also be a good recipe to use for Cauliflower “mashed potatoes” and “Pizza Crust”? Absolutely! I always roast the cauliflower before using for any recipe! Enjoy!